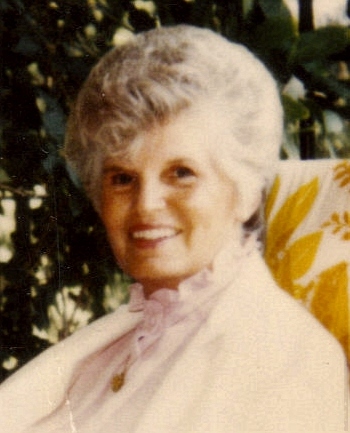 June Marcene Peterson, 83, passed away at her home on Monday, July 19, 2010 after a battle with cancer. She was born on June 4, 1927 in Brookings, South Dakota to Almon and Selma (Miller) Chase. June attended and graduated from Washington High School. She went on to graduate from Presentation School of nursing. She was a Registered Nurse at McKennan Hospital and the Veterans Administration Hospital for more than 20 years. June was a member at St. Lambert Catholic Church. She was also a member of the Catholic Daughters of the Americas, Women's VFW, Rose Club and St. Vincent DePaul. She enjoyed ceramics, oil painting, gardening, china painting and porcelain projects. June is survived by her children: Robert (Pat) Nedved, Liberty, MO, Kathy and (Paul) Junker, Camas, WA, Mary Johnson, Sioux Falls, SD, Teresa (Darwin) Woodward, Sioux Falls, SD, John (Kathy) Nedved, Brandon, SD; 4 step-children; 10 grandchildren and 5 great-grandchildren. She was preceded in death by her parents and husband: Bill Nedved. Visitation will be Thursday, 5 PM at Barnett-Lewis Funeral Home with a Scripture Vigil at 7 PM followed by the Rosary. Mass of Christian Burial will be Friday, 10:30 AM at St. Lambert Catholic Church with burial to follow at St. Michael Cemetery.